It rained on Saturday, like, it rained a lot. In fact, D.C. more than doubled its previous record for recorded rainfall on July 21, which was set more than 100 years ago. Here's how much rain parts of the D.C. area saw. WASHINGTON — The National Weather Service recorded 4.64 inches of rain in D.C. as 11:25 p.m. on Saturday, more than double the previous record. The old record for July 21 was 2.56 inches set back in 1911. All three D.C. area airports broke records for most rainfall on July 21 by recording at least 4 inches of rain. Dulles International Airport recorded more than 5 inches of rain, nearly four times its previous record set back in 1973. Saturday’s rainfall was a top-10 event for the District. The 4.64 inches of rain is the tenth highest recorded rainfall in a single day in D.C. The record for a single day was set back on Aug. 23, 1933, when a whopping 6.39 inches of rain fell in the city. It was also the second largest rainfall in a single day in July, just slightly behind the record of 4.69 inches set back on July 9, 1970. The last time the District saw at least 4 inches of rain was on Sept. 30, 2010, when 4.66 inches of rain fell. Outside of D.C., some places recorded more than 6 inches of rain. Charles County, Maryland, evidently saw the most rain in the D.C. area. A trained spotter for the National Weather Service recorded 7 inches of rain in Ripley at 9:15 p.m. The second highest total was in Fairfax County, Virginia, where a trained spotter recorded 6.51 inches in Burke as of 8:37 p.m., which was slightly more than the 6.50 inches recorded in Montgomery County, Maryland, by a trained spotter in Washington Grove. 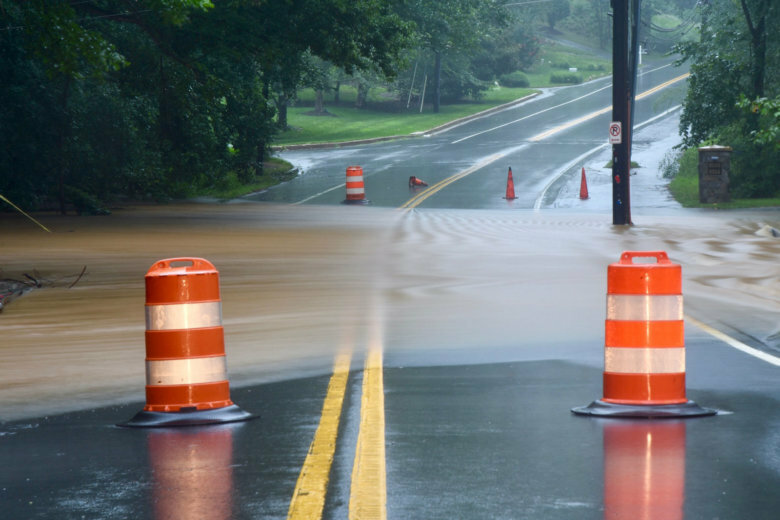 Two other locations in Maryland recorded more than 6 inches of rain. At 10:04 p.m., a trained spotter recorded 6.02 inches of rain in Gaithersburg in Montgomery County and in Calvert County a trained spotter recorded 6.39 inches of rain in Prince Frederick at 11:04 p.m. The bad news is more rain is in the forecast on Sunday, but it shouldn’t be anywhere near as much as we saw on Saturday. In case you were wondering, the record for most rain on July 22 was set back in 1969 when 4.35 inches fell in D.C.